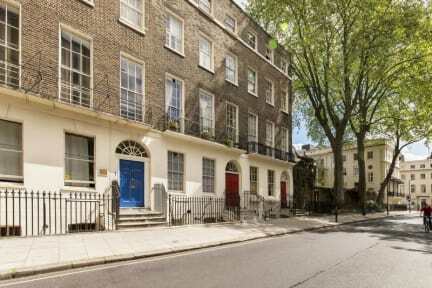 Astor Museum Inn, Londyn, Anglia : Rezerwuj teraz! Cancellations must be done 2 weeks prior to arrival. After that the group will be liable for part or all of their monies paid. Note: 18-40 yrs old only. Astor Museum won 1st Best Small hostel chain and 1st in the Lifetime achievement awards at the 2015 Hoscars! Astor Museum Inn is across the street from the British Museum in 'a classy part of town', according to one Hostelworld user. 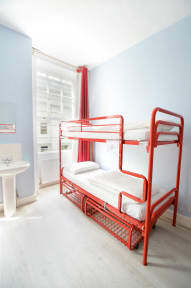 Our reviewers have praised this hostel's 'awesome, very friendly staff' who offer 'excellent service for the value'. We've noticed that this hostel sees a lot of repeat guests who seem to come back because there's 'always something going on' in this 'very chilled out' hostel with a 'relaxed and hippie' atmosphere. With the British Museum literally on its doorstep, it is impossible to beat this hostel’s location! Located in the very heart of Central London you are a short walk from iconic attractions like Piccadilly Circus, Trafalgar Square and Covent Garden. It doesn’t matter if you are shopping down the legendary Oxford Street, watching a play in Leicester Square’s world famous theatre district, having dinner in China Town, drinks in Soho, or partying in the West End you are always a short walk home to a nice and quiet street in an amazing neighbourhood! The moment you walk through our doors you become part of our family and we want you to have an incredible experience! We want every detail – from our super clean bathrooms and comfortable pillows to our unforgettable social events - to be perfect, giving you a London adventure that is 10 out of 10! • Beautiful lounge area with comfy sofas and large screen TV! • Clean, crisp linen on your bed ready to sleep on! Winner of No.1 Small Hostel Group Worldwide, and a Lifetime Achievement Award for excellence in the Hostel Industry. We thrive on ensuring every guest leaves satisfied and if you have any problems along the way we are always there ready to help! For this and many other reasons staying at Astor Hostels is the top choice for anyone exploring London on a budget! Please note our “Basic” room types allow you access to all of our amazing facilities! However, the building is located a short walk (1 minute) away from the main building, but if you need anything there is a direct telephone which will connect you with our reception. I would definitely stay again in this hostel, it's very close to the city centre, the staff are smiling and really helpful people. I also loved the vibrant atmosphere of this place! Thank you!